The Urban Indian Health Institute (UIHI) recently honored Bill Hall with an Adeline Garcia Community Services Award at Seattle Indian Health Board’s annual community celebration. Bill is a leader for Native organizations working to eliminate HIV in Indian Country. He is well known for his involvement in HIV issues in Washington State, and is well respected throughout the HIV community for giving voice to concerns affecting all people living with HIV. He provides a personalized perspective by openly sharing his experiences as a Native man living with HIV. He is a positive, motivated leader with amazing dedication. Bill exemplifies the traditional Native values of giving selflessly for the betterment of his community, both Native and non-Native. 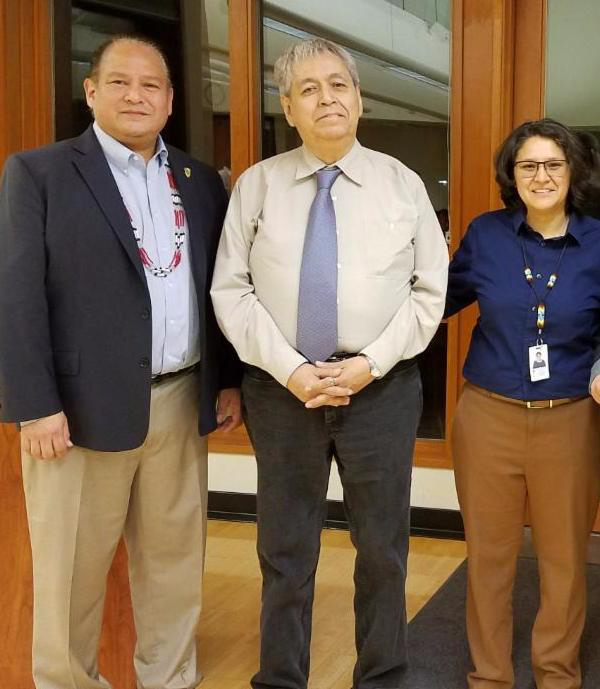 Through his connection with Michael, Bill met with UIHI’s Director, Abigail Echo-Hawk, and expressed how important this work was to the local Native community. Through his continuous dedication he is now assisting and advising UIHI on creating materials about HIV prevention and stigma reduction for American Indian and Alaska Natives. He volunteers his time to steer us in the right direction following the traditional teachings of elders before him. Because of Bill, UIHI is creating materials and shaping our HIV program to become the leading Native organization working to eliminate HIV in Indian Country.